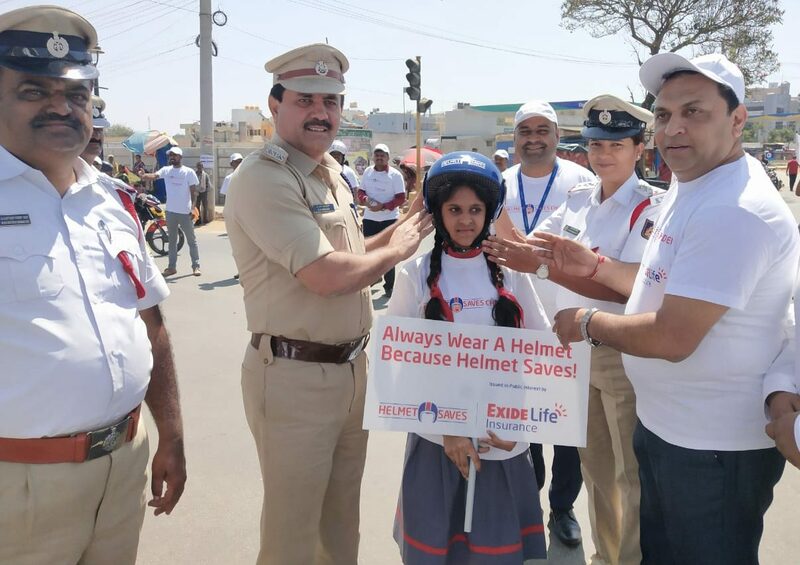 Bengaluru, February 7, 2019: On the occasion of the 30th National Road Safety Week (February 4-10), Exide Life Insurance collaborated with the City Traffic Police across various cities, as part of its CSR campaign – Helmet Saves Children. With the view to create awareness on the importance of wearing helmets and the safety of children as pillion riders in India, Exide Life Insurance successfully executed the pan-India awareness to further the adoption of helmets for children across the country. The Company conducted awareness drives at key locations across seven cities – Ujjain, Coimbatore, Bhopal, Mysore, Pune, Jaipur and Bengaluru, where school children wearing helmets under the supervision of the City Traffic Police carried out safety demonstrations at key traffic junctions to create awareness among motorists on the importance of children pillion riders wearing correct protective headgear. The students marched on the roads holding placards with strong messaging and handing over leaflets on helmet safety as well as engaged with two wheeler riders especially those with their child riding pillion without a helmet. 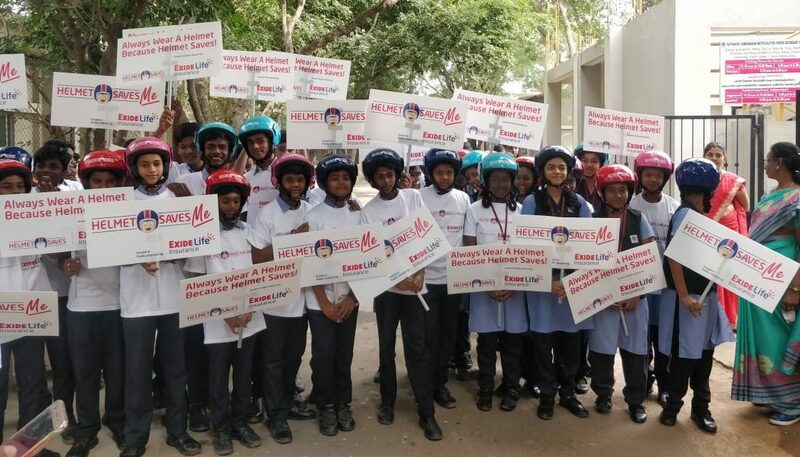 Travelling across the country, the campaign engaged a remarkable number of over 600 students from 20 schools who joined hands to successfully bring alive the message that ‘Helmet Saves’. Marking a start of the campaign with the view to create awareness towards the importance of children wearing helmets as pillion riders, Exide Life Insurance launched the Helmet Saves Children campaign through a catchy rap song ‘Voice of Children’ on November 14, 2018 which not only entertained but also successfully brought forth the important message in a seamless fashion. The film brought together children in a flash mob with a catchy rap song highlighting their need for helmets. The video saw active participation from Children as lead protagonists in demonstrating their right to road safety. 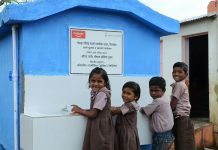 The campaign was an immediate success garnering organic views across platforms like Facebook, You Tube, Twitter, Instagram and various online portals. 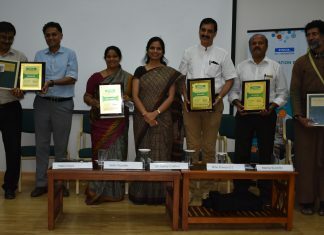 Helmet Saves, a robust CSR campaign was launched by Exide Life Insurance in 2017 to create awareness on the importance of wearing a helmet while riding a two-wheeler. As a part of the campaign last year, a survey was conducted on the helmet wearing habits among riders. The trends revealed were startling – nearly 50 percent of parents would allow their children to ride a motorcycle helmetless, and 75 percent see such child pillions riding unprotected at least once a day. 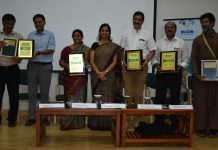 The alarming trend of children not wearing helmets despite being one of the most vulnerable sections of the society, spurred the company into expanding its focus this year to child safety. The findings on child safety were also corroborated by a recent Twitter poll conducted by the company. It was revealed that eight out of every ten individuals see children without a helmet on a two-wheeler at least once a day. These alarming statistics also bring out that 37 percent individuals believe that principal reason for going helmetless is the habit of not wearing it at all. This is closely followed by the lack of awareness on wearing helmets (33 percent). Additionally, one of ten individuals will allow their child to ride pillion on a motorbike without a helmet in case they are getting late for school or work. Despite these alarming statistics, eight out of ten people will insist their child to wear a helmet when on a bike. This leads us to believe that people would like to take the safety of the kids more seriously than what they used to. As part of its CSR Programme, Helmet Saves, Exide Life Insurance continues its efforts on driving adoption of helmets amongst the country’s motorcycle riding community. 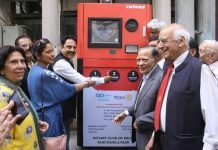 With the activities undertaken, the campaign successfully conveyed the message on the importance of helmet safety for children and motorists to reduce road fatalities. Through this campaign, Exide Life Insurance remains committed towards spreading awareness on helmet safety through continuous engagement by reaching as many Indians as possible.